Home » Theory » Can a VFD driven motor run at zero speed? It has always been acceptable to be able to reduce the speed of a variable torque application to near zero speeds. I continue to get into these arguments on startups with inexperienced commissioning people. If it is a constant-torque application, (i.e. positive displacement pumps or compressors) taking the speed to near zero is a very big NO-NO... But fans and centrifugal pumps are not constant-torque applications. I normally recommend to set the bottom end of the speed to 10%, but theoretically they can go down to virtually "zero". Most of the concerns are always that the motor will overheat, but due to the nature of variable torque applications, the heat produced is also variable. We all know (at least we hope so...) that the heat dissipated is directly proportional to the surface area of the motor frame. The facts be known, in variable torque service the heat produced by the motor are significantly less than a standard motor running at rated hp. Standards like this are a result of the lack of research into reality written by individuals with the lack of practical experience. 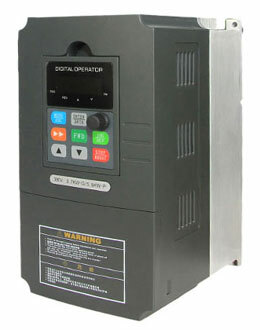 Hence the requirement to use inverter duty motors in this application are a waste of money. I have proven this time and time again over the last 30+ years.